Canadians are losing money every day, unknowingly and unnecessarily, which over the course of one’s lifetime can amount to hundreds of thousands of dollars if not millions lost. This is done through what we call wealth transfers. My specialization is in recovering this money that we then allocate to future retirement needs and just as important, to current lifestyle. We can bring just as much value (if not more) to our clients by helping them recovering the losses than by just trying to pick the winners. You want to patch up the holes in the bucket before you waste any more water trying to fill it. I entered the financial services industry in 2007 with Investors Group. Three years later after earning my Certified Financial Planning and Chartered Life Underwritings designations, I ventured off into my own. In 2013, I joined Financial Wealth Builders where I became part of an extraordinary team that focuses on a true holistic approach to financial planning that is designed to help a client in every stage of their financial life in every capacity; taxes, cash flow, protection, retirement, financial independence. I employ a very detailed process to better understand what is important to my clients and then formulate a plan that includes insurance, investments, mortgages, tax and cash flow planning and estate planning, to help them achieve their financial independence. I work with families, professionals and small business owners who are motivated and serious to secure their financial futures. Your financial future is very important and deserves the proper attention and an advisor who will treat you with the same importance. 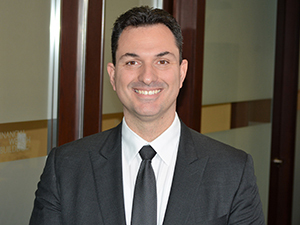 Ennio resides in Toronto with his wife Daniela and their three children Julian, Victoria and Samantha and his favourite past time is being a soccer coach to all three.